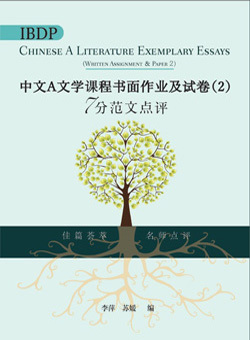 This book is a must-have for students preparing for IBDP Chinese A Literature course Written Assignment and Paper 2. The authors have carefully chosen 11 written assignments, each containing two parts, Reflective Statement and Essay. Also, the book provides readers with a total of 18 students’ exemplary Paper 2 essays in 5 literary genres. The authors have also carefully designed 5 mock exam papers. Both authors, as experienced IB educators and examiners, thoroughly interpreted the key points of Written Assignment and Paper 2, guiding students to achieve success in the course.